Gurley said Monday that his left knee is "feeling pretty good," and he's "taking it [his recovery] day by day," Lindsey Thiry of ESPN.com reports. Coach Sean McVay said on The Rich Eisen Show that he expects Gurley (knee) "to be the focal point" of the Rams offense in 2019 and beyond. Gurley (knee) is expected to be available for the start of the Rams' offseason program April 15, Gary Klein and Jeff Miller of the Los Angeles Times report. Gurley has arthritis in his left knee, a source has told Jeff Howe of The Athletic. Gurley may research stem cell treatment as an option to help his problematic left knee, John Breech of CBS Sports reports. 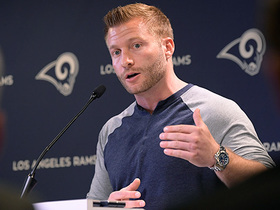 "As far as the stem cells, that's not something that's been communicated to me, but there is a program," Rams coach Sean McVay said. "We've got these doctors and there's always new methods of staying as up-to-date as you can, and number one, the player has to feel good about it. Todd does such a good job of doing his own research and knowing what are the things [he] can do." Coach Sean McVay maintained Thursday that Gurley (knee) was healthy during the Rams' Super Bowl loss to the Patriots and blamed himself for not getting the back as involved as he could have been, Mike Jones of USA Today reports. Teammate C.J. Anderson believes Gurley's late-season knee injury was "a little bit more than what everybody in the building thought, including himself," Cameron DaSilva of USA Today reports. "I would say sprained knee," Anderson said, when asked to describe Gurley's setback. "Obviously, it's the same knee injury he's had before in his career. Obviously I had surgery on my meniscus and once you have a knee, you always have a knee." Coach Sean McVay said he isn't aware of Gurley needing any medical procedures during the offseason, Rich Hammond of the Los Angeles Daily News reports. Gurley carried 10 times for 35 yards and caught his only target for a one-yard loss during Sunday's 13-3 loss to the Patriots. Gurley is expected to continue splitting carries with C.J. Anderson during the Super Bowl, NFL.com's Ian Rapoport reports. 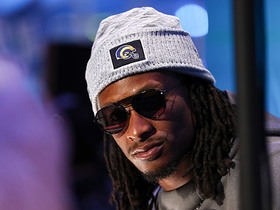 Coach Sean McVay said Tuesday that Gurley will be a big part of the Super Bowl, Albert Breer of TheMMQB.com reports. Gurley suggested health wasn't a factor in his limited role during Sunday's 26-23 win over the Rams, instead blaming his poor performance early in the game, ESPN.com's Lindsey Thiry reports. "I was sorry as hell today," Gurley said after the game. "I was sorry. So, C.J. did his thing and the whole team did its thing." Gurley rushed just four times for 10 yards and a touchdown and brought in one of three targets for 10 yards during the Rams' 26-23 overtime win over the Saints in Sunday's NFC Championship Game. In his post-game news conference, head coach Sean McVay indicated that the decision to go with C.J. Anderson as his lead back was strictly "because of the flow of the game," Lindsey Thiry of ESPN.com reports. Gurley (knee) wasn't listed on Wednesday's injury report, Lindsey Thiry of ESPN.com reports. Coach Sean McVay said Wednesday that Gurley (knee) will be limited in practice this week, Rich Hammond of the Los Angeles Daily News reports. Gurley rushed for 115 yards and one touchdown on 16 carries, adding two receptions for three yards during Saturday's 30-22 win against the Cowboys. Gurley (knee) does not carry an injury designation for Saturday's divisional-round playoff game versus the Cowboys, Myles Simmons of the Rams' official site reports. Gurley (knee) practiced in a limited capacity Wednesday, Rich Hammond of the Los Angeles Daily News reports. Coach Sean McVay said Gurley didn't experience any discomfort in his left knee following Tuesday's pair of walk-throughs, Vincent Bonsignore of The Athletic reports. Analysis: Gurley returned to drills in a limited capacity Tuesday, albeit in walk-throughs as opposed to a true practice. McVay relayed Gurley will take part in Wednesday's session, so the running back's upcoming listing will be interesting to track. In the end, though, it's expected Gurley will suit up Saturday against the Cowboys as part of a backfield timeshare with C.J. Anderson, something McVay has intimated since this past weekend. Gurley (knee) was listed as limited on the Rams' estimated injury report Tuesday, Lindsey Thiry of ESPN.com reports. Coach Sean McVay said Gurley (knee) will take part in Tuesday's afternoon walkthrough, Myles Simmons of the Rams' official site reports. Head coach Sean McVay said Gurley (knee) went through a walkthrough Sunday, Lindsey Thiry of ESPN.com reports. Analysis: McVay has stated on multiple occasions that Gurley is expected to be ready for this Saturday's divisional playoff game against the Cowboys. The running back's participation Sunday only supports that notion. Nearly all worries of Gurley's impending availability will vanish if he's able to fully participate in Tuesday's practice -- and that is something McVay expects to happen, according to Myles Simmons of the Rams' official site. Coach Sean McVay said he "would be very, very surprised" if Gurley (knee) isn't healthy enough to play in the Rams' divisional-round game on Saturday, Jan. 12, Myles Simmons of the Rams' official site reports. The Rams ruled out Gurley (knee) for Sunday's contest against the 49ers, Myles Simmons of the team's official site reports. Analysis: Since he was diagnosed with left knee inflammation, Gurley hasn't practiced and now will miss a second straight game. Officially, he'll end his fourth regular season with 1,831 yards from scrimmage and 21 touchdowns in 14 appearances. With Gurley sidelined until the playoffs, at the earliest, the Rams are expected to turn to veteran C.J. Anderson again to start at running back. Gurley (knee) wasn't present for the open portion of Friday's practice, Gary Klein of the Los Angeles Times reports. Coach Sean McVay said Gurley (knee) won't practice Thursday but doesn't need to participate Friday in order to be active Sunday against the 49ers, Cameron DaSilva of USA Today reports. Gurley (knee) didn't participate in Wednesday's walk-through session, Rich Hammond of the Los Angeles Daily News reports. Coach Sean McVay labeled Gurley (knee) "day-to-day" Monday, Myles Simmons of the Rams' official site reports. The Rams are considering holding Gurley (knee) out for the team's Week 17 game against the 49ers, Ian Rapoport of NFL Network reports. Gurley (knee) is inactive for Sunday's game at Arizona, Myles Simmons of the Rams' official site reports. Analysis: Gurley's availability was dependent on a pregame workout, which didn't go well enough for the team to clear him to play through an inflamed left knee. With Gurley missing his first game since Week 17 of last season, the Rams will turn to recent addition C.J. Anderson, John Kelly and Justin Davis (shoulder) at running back. Gurley (knee) is expected to miss Sunday's contest at Arizona, Lindsey Thiry of ESPN.com reports. Analysis: The move will be made official shortly, but it appears Gurley will yield the backfield to some combination of C.J. Anderson, John Kelly and perhaps Justin Davis (shoulder), if the latter is active. Barring a pregame setback, the Rams expect Gurley (knee) to suit up for Sunday's game at Arizona, Adam Schefter of ESPN reports. Analysis: This more or less lines up with Gurley's status as a game-time decision, but because the running back has felt better as the week went on, there seems to be increased confidence from the Rams camp that an appearance is possible. On the other hand, if Gurley is unable to go, the Rams are slated to start C.J. Anderson, with John Kelly possibly the only running back in reserve due to Justin Davis dealing with a shoulder injury. Gurley (knee), who is listed as questionable for Sunday's game against the Cardinals, will be tested during pregame warmups before it's determined whether or not he'll play, Adam Schefter of ESPN reports. Coach Sean McVay said Gurley (knee) would be listed as questionable for Sunday's game against the Cardinals and is considered as a game-time decision, Rich Hammond of the Los Angeles Daily News reports. Gurley (knee) isn't expected to practice Friday, which would mark his third consecutive DNP, Rich Hammond of the Los Angeles Daily News reports. However, Gurley believes he'll be able to play Sunday at Arizona. "Yeah, I think I'll be fine. just taking it day by day, recovering, resting, trying to feel better," he said Thursday. 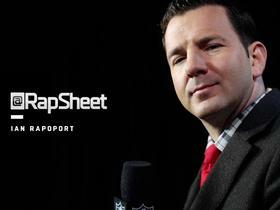 Gurley (knee) officially didn't practice Thursday, Adam Caplan of SiriusXM Radio reports. Analysis: Gurley's focus has been on treatment of his inflamed left knee rather than practice this week with active status in mind Sunday at Arizona. It's unclear if reserve running back Justin Davis (shoulder) also was a non-participant for a second straight session, but John Kelly and C.J. Anderson handled the reps during the open portion of Thursday's practice. Ultimately, Gurley's workload (or lack thereof) Friday could be key for his listing heading into the weekend. Gurley (knee) wasn't present during the part of Thursday's practice open to the media, Vincent Bonsignore of The Athletic reports. Analysis: Gurley has yet to practice this week as he deals with knee inflammation. Instead, he's focusing on treatment with an appearance expected of him Sunday in Arizona. Reserve running back Justin Davis (shoulder) also was absent Wednesday and appears to be sitting out again Thursday, allowing John Kelly and newcomer C.J. Anderson to get the RB reps in drills. Gurley (knee) didn't participate in Wednesday's walk-through practice, Lindsey Thiry of ESPN.com reports. Coach Sean McVay said Wednesday that he expects Gurley (knee) to suit up Sunday in Arizona, Scott Bordow of The Athletic reports. Analysis: Gurley emerged from the 30-23 loss to the Eagles over the weekend with an inflamed knee, which likely will impact his practice reps Wednesday through Friday. However, if McVay's prediction comes true, Gurley will be taking on a Cardinals defense that allowed him to rack up 73 yards from scrimmage and three touchdowns on 22 touches Week 2. Coach Sean McVay termed Gurley's left knee injury as inflammation, Myles Simmons of the Rams' official site reports. "We think he's going to be OK," McVay said Monday. Analysis: After missing a possession in the second half of Sunday's 30-23 loss to the Eagles, Gurley returned and finished with 124 yards from scrimmage and two TDs on 22 touches. Along with the aforementioned comments, McVay told Rich Hammond of the Los Angeles Daily News that Gurley will play as long as he receives medical clearance, but first the running back will have to get through Week 16 preparations unscathed. The Rams will post their first injury report of the week Wednesday. Gurley's knee will be examined this week, Ian Rapoport of NFL Network reports. Analysis: Gurley missed a drive during Sunday's 30-23 loss to the Eagles while sporting a wrap around his left knee, but he made it back early in the fourth quarter and finished with 124 scrimmage yards and two TDs. While his ability to play through the injury is obviously a good sign, the Rams want to take a closer look before they begin practice for Week 16 at Arizona. Gurley carried the ball 12 times for 48 yards and two touchdowns, adding 76 yards on 10 receptions (13 targets) in Sunday's 30-23 loss to the Eagles. Gurley (knee) returned to Sunday's game against the Eagles in the fourth quarter, Rich Hammond of the Los Angeles Daily News reports. Analysis: Gurley only missed one drive and immediately caught a pass for nine yards after rejoining the contest. With the Rams trailing by 17 points late in the third quarter, Gurley isn't likely to see much work on the ground for the rest of the night, though. Gurley left Sunday's game against the Eagles with a knee injury and is considered questionable to return, Dave Zangaro of NBC Sports Philadelphia reports. Analysis: With Justin Davis (shoulder) exiting earlier in the contest, rookie John Kelly is in the game at running back. Rich Hammond of the Los Angeles Daily News reports that Gurley is jumping and moving around on the sideline, presumably testing out his knee to see if he can re-enter the game. Gurley rushed 11 times for 28 yards, adding another 30 yards on three receptions (seven targets) in Sunday's 15-6 loss to the Bears. Gurley rushed 23 times for 132 yards and two touchdowns and brought in three of five targets for 33 yards in the Rams' 30-16 win over the Lions on Sunday. Gurley (ankle) wasn't included on the Rams' injury report Wednesday, Cameron DaSilva of USA Today reports. 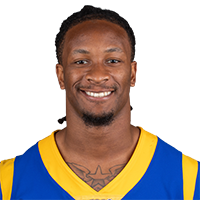 Gurley was slightly limited Monday after rolling his ankle early in the contest, Myles Simmons of the Rams' official site reports. However, head coach Sean McVay also noted that the injury is not expected to be an issue moving forward. Analysis: Gurley's action was rather light during Monday's contest, rushing a season-low 12 times for 55 yards. The probable reason behind the limited showing has now been revealed, and it's relatively minor in nature. With a bye week awaiting the Rams in Week 12, he probably won't miss future action because of the injury. Gurley rushed 12 times for 55 yards and caught all three of his targets for 39 yards in Monday night's 54-51 win over the Chiefs. Analysis: Gurley, by his standards, was shockingly quiet in Monday's offensive explosion that saw a combined 105 points scored. In fact, having found the end zone in 13 straight games, Gurley failed to contribute to that exorbitant streak. Furthermore, his 55 rushing yards marked his fewest since Week 2. With Rams quarterback Jared Goff setting a new career high in attempts, Gurley wasn't able to put his usual stamp on the contest and now embarks on Los Angeles' Week 12 bye. Gurley amassed 120 rushing yards and a touchdown on 16 carries, adding three receptions for 40 yards during Sunday's 36-31 win against Seattle. Gurley carried 13 times for 68 yards and a touchdown in Sunday's game against the Saints. He also caught six of seven targets for 11 yards in the 45-35 loss. Gurley ran for 114 yards on 25 attempts, adding six receptions for 81 yards and a touchdown during Sunday's 29-27 win against Green Bay. Gurley carried 15 times for 63 yards and two touchdowns Sunday against the 49ers. He also caught four of five targets for 23 yards and another touchdown in the 39-10 win. Gurley rushed 28 times for 208 yards and two touchdowns during Sunday's 23-20 victory over the Broncos. He also secured two of five targets for 17 receiving yards. Gurley had 22 carries for 77 yards and three touchdowns in Sunday's 33-31 win at Seattle. He also caught four of five targets for 36 yards. Gurley rushed 17 times for 83 yards and brought in four of six targets for 73 yards and a touchdown in the Rams' 38-31 win over the Vikings on Thursday night. Gurley had 23 carries for 105 yards and a touchdown, adding five receptions on six targets for 51 yards in Sunday's 35-23 win over the Chargers. He also lost a fumble. Analysis: Gurley dealt with some cramping in last week's win over Arizona, but was obviously more than fine Sunday, although he had a long run of just 14 yards. He should continue to see 20-plus touches every week as one of the most reliable and productive running backs in the league. Gurley will face Minnesota on Thursday. Gurley played 49 of 72 offensive snaps during Sunday's 34-0 win against the Cardinals. In the process, he accounted for 19 carries for 42 yards and three touchdowns to go with three catches (on three targets) for 31 yards. Analysis: Gurley didn't have the most efficient game on the ground, averaging just 2.2 YPC, but he made up for it with three visits to the end zone. His final line was impacted by an early departure to deal with cramping, which allowed backup Malcolm Brown to post 12 rushes for 46 yards. With Gurley calling himself "fine" after the game, according to Myles Simmons of the Rams' official site, he'll take on lead duties, per usual, Sunday against the Chargers. Gurley is questionable to return to Sunday's game against the Cardinals due to cramps, Myles Simmons of the Rams' official site reports. Analysis: With temperatures in the mid-80s in LA and the Rams ahead 27-0 at the point of his departure in the third quarter, Gurley likely will remain on the sideline for the rest of the contest. If he doesn't make another appearance, he'll finish the day with 73 yards from scrimmage and three touchdowns on 22 touches. Gurley was a full participant at Thursday's practice, Lindsey Thiry of ESPN.com reports. Analysis: Gurley was absent from Wednesday's session due to non-injury-related reasons but does not appear to be facing any limitations going forward. There is a good chance he was simply given an extra day off after the Rams played on Monday night in their regular season opener. Gurley has a nice matchup in Week 2 against a Cardinals defense that surrendered 4.9 yards per carry to Washington running backs in their first game. Gurley missed practice Wednesday for non-injury-related reasons, Lindsey Thiry of ESPN.com reports. Analysis: Typically, there are two reasons for sitting out practice due to a non-injury: either for maintenance purposes or due to a personal issue. Considering Gurley didn't take a snap during the preseason but still churned out 147 yards from scrimmage and one touchdown in the Week 1 win over Oakland, the 24-year-old may have been extended a courtesy day off. No matter the reason for Gurley's absence, there's no indication he's in danger of missing Sunday's divisional matchup with the Cardinals. Gurley rushed 20 times for 108 yards while adding three catches for 39 yards and a touchdown on five targets in Monday's season-opening, 33-13 win over the Raiders. Coach Sean McVay confirmed Thursday that Gurley will not play in the preseason, ESPN's Lindsey Thiry reports. Analysis: The running back can now focus on staying healthy and preparing for the coming season, without risking injury in either of the Rams' final two preseason games. Following a 2017 season in which he carried 279 time for 1,305 yards and 13 TDs, while catching 64 passes for 788 yards and six TDs in 15 games, Gurley profiles as RotoWire's No. 1 ranked fantasy running back. Gurley won't suit up for Saturday's preseason game against the Texans, Rich Hammond of the Los Angeles Daily News reports. Analysis: Gurley has yet to play this month, so getting ruled out for preseason Week 3 all but ensures he won't see game action until the regular-season opener. The decision is a logical one after he handled a career-high 343 touches last year en route to being named NFL Offensive Player of the Year. After racking up 321 touches in 2016, he's as safe of a bet as any running back to maintain his floor into the coming campaign. Gurley has reached an agreement with the Rams on a four-year, $60 million extension with $45 million guaranteed, per Adam Schefter of ESPN. The Rams have picked up Gurley's fifth-year contract option, USA Today reports. 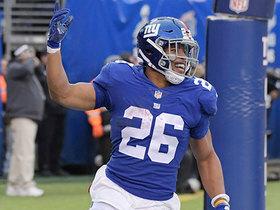 Analysis: The running back is thus under contract with the team through the 2019 season. Keeping Gurley around was a no-brainer for the Rams, following a stellar 2017 campaign in which the 23-year-old carried 279 times for 1,305 yards and 13 TDs while adding 64 catches for 788 yards and six receiving scores in 15 games. Heading into the draft, Gurley's top backups are Malcolm Brown and Justin Davis, neither of whom presents a major threat to his workload. Gurley rushed 14 times for 101 yards and caught four passes for another 10 yards during Saturday's 26-13 loss to Atlanta in the wild-card round. Gurley will be held out for Sunday's regular-season finale against the 49ers, Rich Hammond of the Los Angeles Daily News reports. Rams head coach Sean McVay suggested Tuesday that Gurley and several other key starters could be rested for the regular-season finale Sunday against the 49ers, Alden Gonzalez of ESPN.com reports. Gurley rushed 22 times for 118 yards and added 10 catches for 158 yards and two touchdowns on 13 targets in Sunday's 27-23 win over the Titans. Gurley ran 21 times for 152 yards and three touchdowns while reeling in all three passes directed his way for 28 yards and another score in Sunday's 42-7 defeat of the Seahawks. Analysis: Gurley rumbled in from the one-yard line in each of the first two quarters, went virtually untouched on a 57-yard run with less than a minute remaining in the first half, and added his receiving touchdown as the icing on the cake in the third before sitting out the rest of the contest. He had five rushes for nine or more yards on the day. Despite facing another tough rush defense Week 16 at Tennessee, Gurley remains a matchup-proof automatic start for fantasy purposes. Gurley carried 13 times for 96 yards and a pair of touchdowns Sunday against the Eagles. He also caught three of five targets for 39 yards in the 43-35 loss. Analysis: Gurley gashed the stout Philadelphia front for 7.4 yards per carry, but the flow of the game resulted in his second-lowest carry total of the season. He still made a strong impact as a pass catcher, finishing second on the team in receiving while eclipsing 100 scrimmage yards for the seventh time in the last eight games. He also has six touchdowns during that span and will remain an elite fantasy option next week against the Seahawks. Gurley rushed 19 times for 74 yards while catching six of seven targets for 84 yards during Sunday's 32-16 victory over the Cardinals. Gurley racked up 17 carries for 74 yards and four receptions (on seven targets) for 54 yards during Sunday's 26-20 win versus the Saints. Gurley rushed 15 times for 37 yards and a touchdown while also hauling in three of four targets for 19 yards in Sunday's 24-7 loss to the Vikings. Gurley gained 68 yards on 11 carries and 68 yards on six receptions (seven targets) in Sunday's 33-7 win over the Texans. Gurley carried 16 times for 59 yards and two touchdowns during Sunday's game against the Giants. He also caught a pair of passes for 45 yards in the 51-17 win. 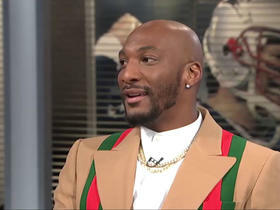 Los Angeles Rams cornerback Aqib Talib joins "NFL Total Access" to talk about teammate running back Todd Gurley's health heading into the 2019 season. 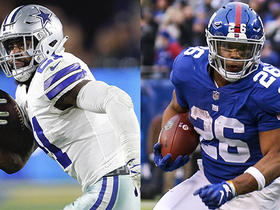 NFL Network's Michael Fabiano, Matt "Money" Smith and Marcas Grant fill out a fantasy mock draft for the 2019 season. NFL Network's Reggie Bush ranks his top running backs under the age of 25. Los Angeles Rams head coach Sean McVay explains why running backs Todd Gurley, C.J. Anderson were used the way they were in Super Bowl LIII. Los Angeles Rams running back Todd Gurley rushed for 35 yards against the New England Patriots in Super Bowl LIII. NFL Network Insider Ian Rapoport has the latest on the health of Los Angeles Rams running back Todd Gurley. 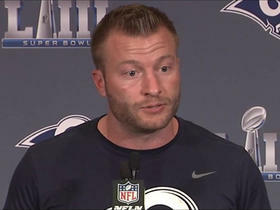 Los Angeles Rams head coach Sean McVay chats about running back Todd Gurley's struggles and his expectations for Gurley for Super Bowl LIII. 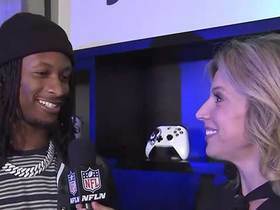 Los Angeles Rams running back Todd Gurley chats about beating New England Patriots tight end Rob Gronkowski in 'Madden NFL 19,' and his performance in the NFC Championship Game. 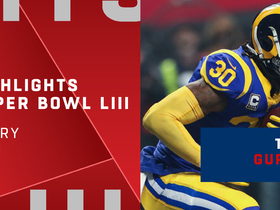 NFL Network's Deion Sanders catches up with Los Angeles Rams running back Todd Gurley at Super Bowl LIII Opening Night. 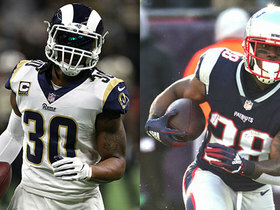 NFL Network's James Jones ranks the top five non-quarterback impact players in Super Bowl LIII.